There’s a lot more to come soon, but I thought it would be good to get a sneak peek at the forthcoming branding update for Dorset-based wedding photographer Anna Morgan. Its often the case that as a business grows and develops, a clearer sense of identity starts to emerge. In Anna’s case, she wanted to move towards a more distinctive, confident and contemporary brand design that reflected her personality and approach. Anna’s Pinterest pins indicated a strong leaning towards strong san-serifs and hand-drawn text, with the boldness of the lettering offset by a preference for lighter pastel, mint and powder blue shades. 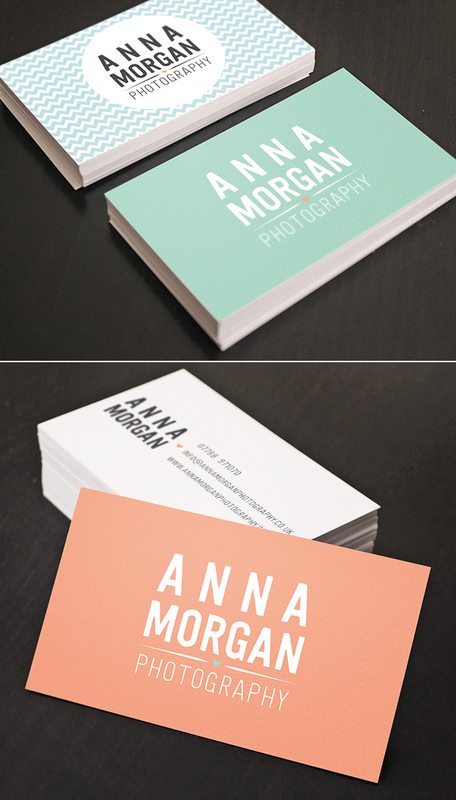 Additional versions of the logo were created for watermarking, stamping and alternative colourways for Anna’s business cards. Take a look at the finished product below, and keep an eye out for the website redesign coming soon!